Mexico is bestowing its highest honor for foreigners on Jared Kushner, President Trump’s adviser and son-in-law. The government announced that President Enrique Peña Nieto would give Kushner, 37, the Order of the Aztec Eagle at the G-20 summit in Argentina, just days before Peña Nieto cedes the office to President-elect Andrés Manuel López Obrador. In a statement, the Mexican foreign ministry said Kushner’s participation in NAFTA talks helped “avoid a unilateral exit by the U.S. from said treaty, and his constant and effective involvement was key to achieving a successful close of negotiations.” Kushner is friends with outgoing Mexican Foreign Minister Luis Videgaray. 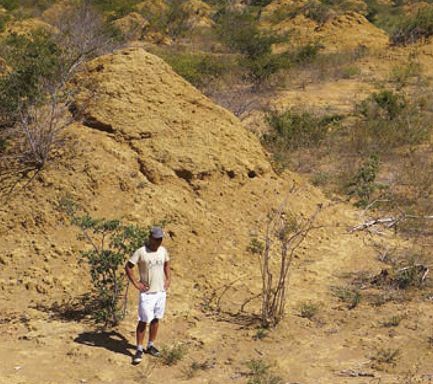 Researchers have discovered a colossal complex of more than 200 million termite mounds that stretches for thousands of miles in a remote, semiarid forest in northeastern Brazil. The complex covers more than 88,000 square miles, an area larger than Minnesota, and the oldest mound is nearly 4,000 years old. Standing up to 10 feet high and 30 feet wide, the conical mounds are not nests but rather piles of waste from the insects’ underground tunneling efforts. The whole complex is an “undiscovered wonder of the world,” said entomologist and lead researcher Stephen Martin, who noted that the amount of soil excavated is equivalent to 4,000 Great Pyramids of Giza. The tiny engineers responsible, a termite species called Syntermes dirus, are only half an inch long. Farmers in northern Alberta are cutting down forests to create more cropland, now that climate change allows them to grow corn and soybeans instead of only wheat and canola. Temperatures around the town of La Crête are 3.6 degrees Fahrenheit warmer on average annually than in 1950, and the growing season is nearly two weeks longer. Farming is now more profitable, too, causing the price of farmland to more than double over the past 10 years. “We’re seeing crops grown in places they’ve never grown before,” Ian Jarvis of the Global Agricultural Monitoring Initiative told The Wall Street Journal. Canada’s gain is the U.S.’s loss: The entire farm belt is slowly shifting northward. Brawling Argentine soccer hooligans have forced the final game of South America’s biggest soccer tournament to be relocated to another country. This year, two Argentine teams made it to the final of the Copa Libertadores: archrivals Boca Juniors and River Plate. But River Plate fans hurled rocks and wood at a bus carrying Boca’s team to a Buenos Aires stadium for the big game last week, shattering windows and injuring six players. 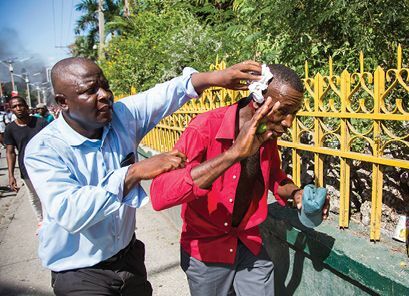 Police used tear gas to break up the mob. 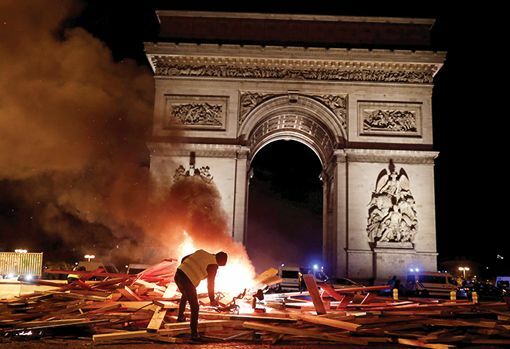 Soccer officials postponed the game and said it would now be held outside the country. Meanwhile, Argentina was crippled by strikes this week just as world leaders, including President Trump, were due to arrive in the city for the G-20 summit. One strike forced the carrier Aerolineas Argentinas to cancel nearly 400 flights; another shut down subway and bus service in the capital. The state-owned Dutch railway company NS has agreed to pay compensation to Holocaust survivors and the relatives of victims who were transported to Nazi concentration camps on the company’s trains. 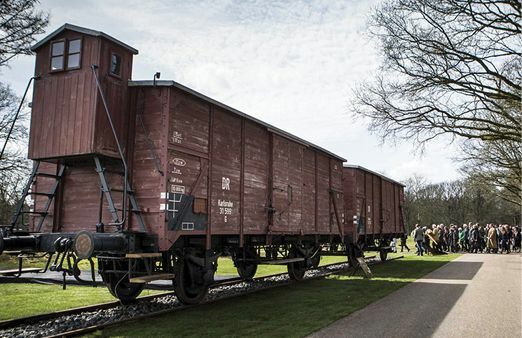 During World War II, NS cooperated with the occupying Nazi regime to transport some 107,000 Jews to a transit camp at Westerbork, where they were loaded onto trains bound for the Auschwitz and Sobibor death camps. Only about 5,000 survived. NS earned $2.8 million in today’s money for transporting Jews; it’s unclear how much it will pay out. Three U.S. soldiers were killed by a Taliban roadside bomb near the city of Ghazni last week, the deadliest incident for U.S. troops in Afghanistan in 2018 so far. The Taliban have been attacking villages around Ghazni since August, when they overran the city in a four-day siege, only to be driven out by U.S. and Afghan forces. 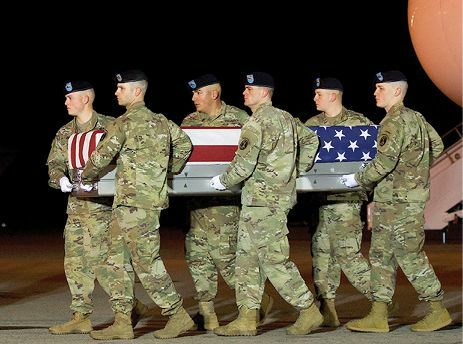 Another U.S. soldier was killed earlier this month by Afghan friendly fire during a shoot-out with militants from al Qaida, which has resurfaced in Afghanistan after being all but eliminated there. Some 15,000 American troops are stationed in Afghanistan, most of them training and assisting Afghan forces. Thirteen U.S. troops have died in combat in Afghanistan this year. The CIA has heard a “smoking gun phone call” of Saudi Crown Prince Mohammed bin Salman ordering dissident journalist Jamal Khashoggi to be “silenced as soon as possible,” Turkey’s Hurriyet reported last week. The newspaper said that CIA Director Gina Haspel told Turkish officials about the recording—of a call between the prince and his brother Khalid bin Salman, who is Saudi Arabia’s ambassador to the U.S.—while visiting Turkey last month. The recording was apparently made during a wiretap of the ambassador’s phone. Khashoggi, a contributor to The Washington Post who frequently wrote about the crown prince’s authoritarianism and recklessness, was killed and dismembered on Oct. 2 inside the Saudi Consulate in Istanbul. The prince denies authorizing the hit. China’s Orwellian social credit system will be up and running by 2020 for all of Beijing’s 22 million residents, authorities said this week. The state-run system is one of multiple public and private systems that evaluate individuals based on their financial credit, purchase history, and personal behavior. High scorers get perks like access to high-speed trains, while low scorers may be blacklisted from certain forms of transportation. It’s relatively easy to monitor people’s spending in China, as most pay for everything through their phones. The government will also assign businesses scores, based on transparency and lack of corruption, while another system will evaluate the trustworthiness of government officials by measuring whether their promises are fulfilled. 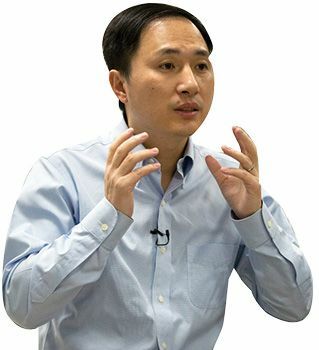 A rogue Chinese scientist drew international condemnation this week after he claimed to have created the world’s first genetically altered babies, tweaking the embryos to make them resistant to HIV. Dr. He Jiankui said the two baby girls, born last month, were “normal and healthy” and would be monitored for the next 18 years. He said eight couples, each an HIV-positive man and HIV-negative woman, had volunteered for the experiment. Editing human genes is frowned on in China and most of the world, and 122 Chinese scientists signed a letter condemning the experiment. The Chinese government promised to investigate He, a researcher at the Southern University of Science and Technology in Shenzhen. 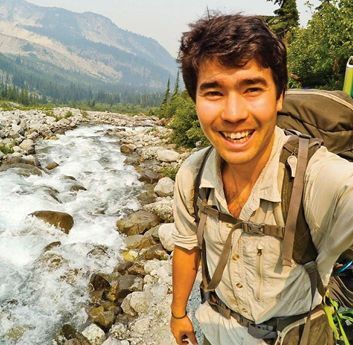 American bioengineer Michael Deem, He’s former adviser at Rice University, is being investigated by his school for possible involvement.